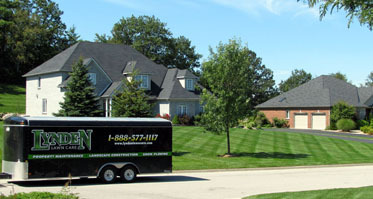 Lynden Lawn Care has been serving the Burlington, Hamilton and Oakville areas for over 8 years. specializing in property maintenance, Lynden Lawn Care has a wide range of services to serve both residential and commercial customers. "Lynden lawn Care has been maintaining my property for the past 3 years. They have done a tremendous job of maintaining my lawn with great attention to detail. Jeff and his crew are always polite and on time..."
"Everything is great with the job Lynden Lawn Care did for us. I was not at home for the process but I can tell you that when I arrived home at the end of the day the beds looked fantastic..."